DAYTONA BEACH, Fla. (Sept. 25, 2015) - It has been a year to remember for 17-year-old Davis Fisher, who just last weekend clinched the GNC2 championship after winning the Roar on the Shore in Delmar, Del., by 5.171 seconds. 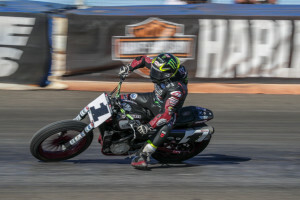 The second-year competitor entered the 2015 AMA Pro Flat Track season as the odds-on favorite to claim the GNC2 championship after coming up one point shy of the title a year ago, but even the experts couldn't have predicted the kind of success that he would go on to have this year. "This means so much to me," said Fisher. "To lock up the GNC2 championship before the season is actually over is just an incredible feeling. After the way things ended last year, how I lost by a single point, I had a bitter-sweet taste in my mouth all last offseason and I just wanted to get back to racing. I knew I had a good chance of being at the top again this year and I just wanted to give myself the best opportunity to place well every weekend. I can't thank my dad, Parkinson Brothers Racing, and the rest of my sponsors enough for allowing me to get this far." Fisher's rout of the GNC2 competition this season is evidenced by his 60 point lead in the GNC2 point standings. The most fascinating part of it all is the fact that he suffered three motorcycle malfunctions, all of which resulted in 13th-place or worse finishing positions, and he still managed to run away with the points lead. Other than his three mishaps, which happened at Daytona (13th), Sacramento (17th) and Indianapolis (15th), Fisher never finished worse than second in any race this season. In total, Fisher has won four of the 12 GNC2 main events this season, including both outings at Springfield, Black Hills, and most recently Delaware. He has finished in second place in the other rounds and his 205 points in the standings tower over second-place Bronson Bauman's 145 points. Of the four races that he has won so far in 2015, Fisher dominated three of them by almost a full second or more. His closest margin of victory came at the first Springfield Mile, where he edged out Jamison Minor by a mere .089 seconds, demonstrating that he's not only capable of winning by a landslide, but he's a fighter in close races as well. Fisher's impeccable performance in GNC2 this season brings two major questions to the table. 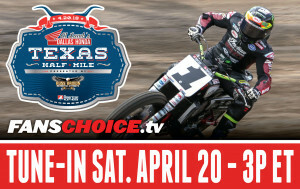 Will he graduate to the elite Harley-Davidson GNC1 presented by Vance & Hines class in 2016? If so, how will he fare against the best dirt track motorcycle racers in the world? The answer to the first question is yes, he does plan to move up to the GNC1 ranks next season. 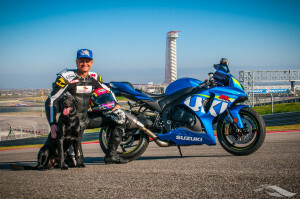 The answer to the second is to be determined, but AMA Pro Flat Track color commentator and seven-time Grand National Champion Chris Carr seems to think Fisher will be just fine. 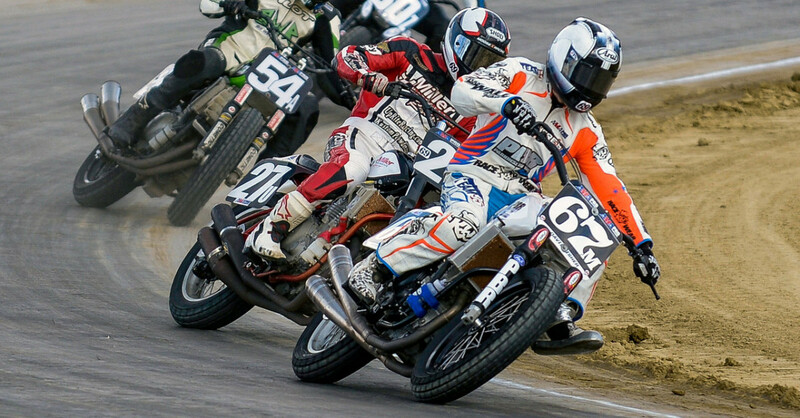 "Personally, I think Davis Fisher is the best young flat tracker I have seen since Nicky Hayden," said Carr. The newly-crowned GNC2 champion and Warren, Ore., native appears to have confidence in himself as well. "I'm looking forward to 2016 and getting the chance to compete against those guys," said Fisher. "They are the best in the world and they have all kinds of experience that I don't have yet. I think I have a lot to learn and I'm looking forward to the challenge. I am going to take the same mindset up there as I have in GNC2, which is to stay focused every round and to fight for top-ten finishes. I think it will all work out." Fisher doesn't possess the experience yet, but he does possess the talent. 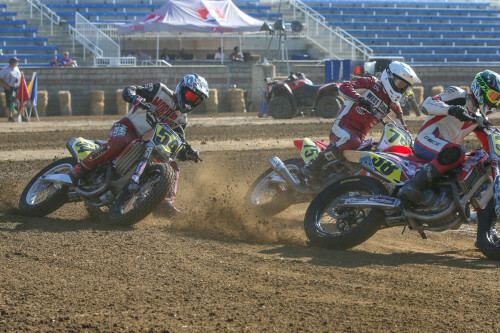 There will be many intriguing storylines heading into the AMA Pro Flat Track offseason this year and Fisher's plans to compete in GNC1 for 2016 will be one of the most compelling.